Shirley MacLaine arrived to meet the Grantham family outside our front door in the third series of ‘Downton Abbey’. She is an irrepressible actress and part of Hollywood royalty. Apart from the scenes in which she was sparring with Maggie Smith and her fictional family, however, she was also very interested in Highclere’s Egyptian Exhibition. In fact, we had created an Egyptian Exhibition in the cellars underneath the main state rooms some years before Downton came to Highclere. It is a true and fabulous story, with treasure, tragedy and mysterious curses. The discovery of the tomb by Lord Carnarvon and Howard Carter in 1922 was also considered the first global media event. Our exhibition at Highclere begins with real antiquities: the remains of the collection of the 5th Earl of Carnarvon. The majority (some 1,400) items were sold to Metropolitan Museum of New York in 1926 to pay death duties. I have happily wandered through rooms in the Met, quietly observing various exquisite antiquities – they are exceptional in beauty and quality, a tribute to the unerring eye of Lord Carnarvon, one of the finest collectors in the world in his time. From statues of tiny animals, to a jasper fragment of Nefertiti’s face, practical and decorative objects offer a window into a civilization which spanned perhaps thousands of years. The objects on display however are a fraction of the beauty of the works of art and architecture in Egypt, both in situ and in their museums. 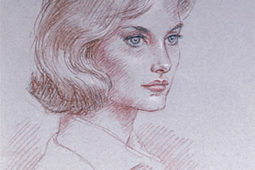 The Highclere exhibition focuses on the story, the endeavours of two men who did not give up. The cellars develop the life and times of Carnarvon and Carter, before exploring the circumstances around the actual discovery of the tomb. 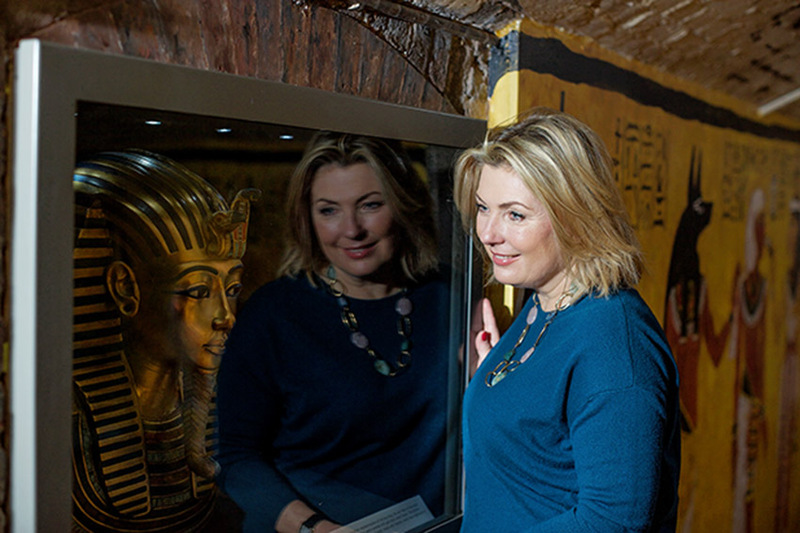 Further cellars continue with the story of Tutankhamun and explore the replicas of the sarcophagus and mummy with treasures from that most extraordinary tomb. I spent ages creating graphic boards living in the half gloom and then writing up the guide book as well, thinking I could use my time well by doing two things at once. I entered the project as ever with enthusiasm and found it was quite a big job! I became utterly absorbed by it, researching and writing and making it relevant to today’s visitors trying to find the little hooks to connect the worlds through time and land. I hope the children and adults enjoy it as much as Shirley MacLaine told me she did – she was most interested to see we had an Anubis replica as she felt it was somehow related to her dog, or perhaps a reincarnation was at work. She also was fascinated by the curses and energy here at the Castle especially given the 5th Earl sadly died in Cairo in the hour of his triumph following the discovery of the tomb. 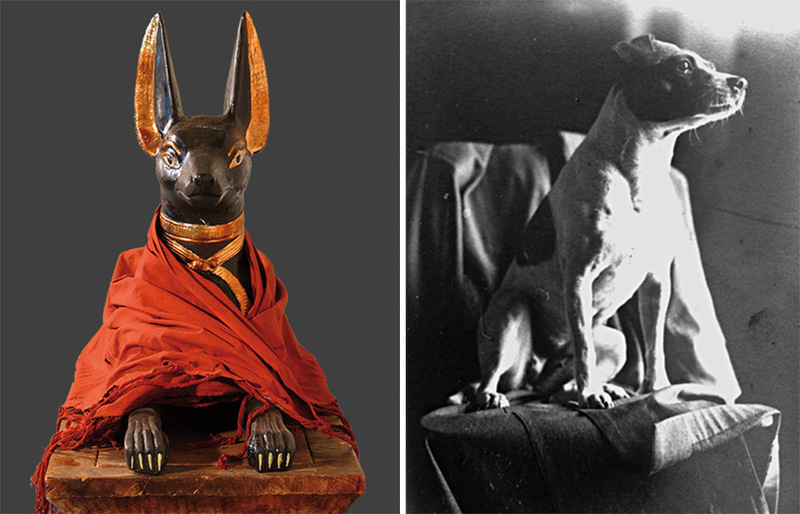 Of course the 5th Earl’s dog Susie died at Highclere at exactly the same time Lord Carnarvon died in Egypt. They are buried together above the Castle in the midst of an Iron Age fort on Beacon Hill. For all the sensational stories, I have in fact become passionate about Ancient Egypt. I am sometimes not sure we have achieved anything as great as its art and architecture. I marvel at the 5,000 years old civilisation. At the moment, I am revising all my notes and research because I have created two days this Autumn to highlight Ancient Egypt as well as guided tours where the stories of Shirley MacLaine, her Downton Abbey co-stars and the myths of Ancient Egypt come together – At Home at Highclere! All of this is so fascinating to me! I love that Highclere has this incredible history, not only on its own, but how it is woven into the history of these discoveries as well. I spontaneously came across a book, ‘The Visitors’ by Sally Beauman, which is a fictional account of a young girl who witnessed the discovery of the tombs alongside those who were part of the English social circles in Luxor at that time. I loved that it brought this part of Highclere and Lord Carnarvon’s history to life for me when I did not know much of this information. This is fantastic I find this so fascinating being a lover of all things historical, the events leading up to the 5th Earls death and after this sad loss in Cairo is a history book in itself. This weeks blog has been a fantastic read Lady Carnarvon. Thank for filling in many of the gaps in our knowledge. that added to our general knowledge. What a wonderful heritage you share. I think some TV would be good! I just saw a wonderful film on PBS in the USA that partly covered the building of a massive new museum on the Giza plateau which will have a special space for the showing of all the treasures of the Tutankhamun tomb which have just been in storage in Egypt. I wonder if your family will be part of the opening of that fantastic new space when it is eventually finished. I can hope so – we have some extraordinary photographs from this time I would also like to share! I remember a few years ago how absorbed I was in researching my husband’s (and childrens) genealogy. It was fascinating getting to know the people from the past, and their stories. He has several quite historical events and famous people in his family’s past as well. I even put a family trip together to see the homesteads, go to the museums, and meet distant cousins with photos and stories to fill in the blanks. It sounds like you had fun as well as learning about the events of your family’s history, and now you get to share it with your visitors. Good luck and thanks for sharing your story. Thank you-it is making museums fun and therefore full of people.. I learned about your husband’s great grandfather, the 5th Earl of Carnarvon, from my college art history. Your pictures are long familiar to me, as they were in my 12 lb textbook. Ancient Egypt themes in British mysteries is a lifetime favorite of mine. I am not surprised that Shirley MacLaine was so interested in the Egyptian Exhibition. After all the beliefs held by the Egyptians about the reincarnation of the soul in the afterlife in some ways echo Ms. MacClaines beliefs. I am not saying they are identical, but Ms. MacLaine would at the very least be curious of the beliefs of the ancient Egyptians. Maybe she was one in a past life (laughing but kindly.) Many things about the Egyptians are fascinating, and I would also argue that the art and architecture of Ancient Egypt is unrivalled. To have such treasures at your fingertips! Imagine, it brings out my own inner Indiana Jones. (do you know the Steven Spielburg movie Raiders of the Lost Ark, Lady Carnarvon? It is a modern classic and a fun watch)I can only imagine the joy you felt going through the relics. Cheers to Lord Carnarvon, preserver of history and adventurer!! Ancient Egypt has inspired so many films – a girlfriend of mine was in the Raiders of the Lost Ark – all before I met my husband. Everyone often believes they were an Egyptian Princess, but I suppose I think it the civilization just weaves a magic over us in our dreams! Just got your latest post–unfortunately in the same format as the last one. Ancient Egypt was amazing, and it seems there’s always more to learn about it. I would love to visit the exhibit if we ever make it to Highclere. We keep saying we have to get back to England but haven’t managed it yet. Kudos to you for making links between past, ‘way past, and present. Pat, you can adjust you viewing settings by enlarging on a computer or with fingers on a phone. I customize most websites to my needs. Love your site, Lady Canarvon. was curious about the connection. Had I the time to really read all the materials it would have all been explained. When visiting in 2016 I was on a tight schedule. Now I have more reason to return to Highclere to get down to the basement to the Egyptian museum. Your Egyptian exhibit was a wonderful surprise to us, when we visited, theee years ago. It had been overshadowed by the Downton publicity, and we were amazed at the excellent historical display, in the basements! You did a beautiful job with a fascinating moment of discovery. You brought to life those heart-stirring moments: struggle, purpose, perseverance, success, sorrow, legacy. Those rooms are a tremendous addition to an already delightful experience! Thank you for all of your work in sharing the Carnarvon history. Thank you – you are right, it is real story of “against all the odds”, endurance… yet what a legacy! Thank you for yet another interesting post! I have been a lifelong lover of ancient Egyptian history, sparked, of course, like many others, by the story of King Tut’s tomb. I know it sounds like I’m trying to butter you up, ha, but I daresay that I do truly see a resemblance in that last photo! You are just lovely, inside and out. Have a great day! You are far too kind, this week I feel like a struggling multi-muddling Mum!!! This is a very strange request, but as a lover of Arabian horses and the history of the Egyptian connection your family has thru the 5th Earl of Carnarvon, would you be able to look at the ‘Prince Fluffy Kareem’ page on Facebook and learn of the plight of the horses there, that are used in the trafficking of tourists to the Pyramids – it is one of the most incredible non-profit organizations trying to help these horses. I guarantee you will be moved. Thank you, for all that you do! I know I will be moved. We have tried to support animal charities in Egypt in the past. We are also connected to a tiny charity for children in Luxor too – it gives children food, teaching and some dental care. I do not respond with gratitude and appreciation as I should each time I read your delightful accounts of life at Highclere. But please be assured that I enjoy reading each account. My dream is to someday visit England and your beautiful home. I hope you do visit us – one day. Dreams can come true! My daughter and I travelled to Egypt in 2009 with a group of dancers from Canada and the United States. 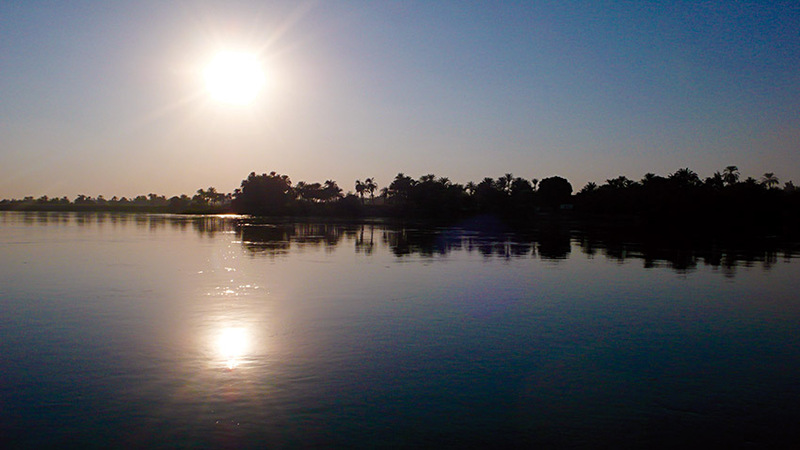 For my birthday we awakened early to see the firing up of our hot air balloons and as the sun rose over the Nile we sailed over the Valley of the Kings. We met up with our friends and descended to Tutenkahmen’s tomb and were astounded at the colours on the walls which are not faded from the sunlight. We had of course seen the antiquities at the museum in Cairo as well. Everything was so fascinating and incredible that it was discovered at all! We were delighted with the exhibit at Highclere as well and enjoyed a picnic on Beacon Hill on the 2nd day of the first Vintage garden party. My daughter named her daughter Hypatia an amazing scholar from Alexandria centuries ago. Thank you for you kind comments – I like to start New year clambering up Beacon Hill! On our visit to Highclere on December, my eyes were opened wide to the Egyptian exhibit there. 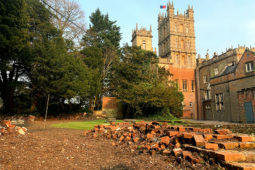 It was a complete surprise to us that it was there in the first place, so the details of how it got to Highclere became a bit of an obsession to soak up every detail concerning it. I had visited the Metropolitan Museum in New York, and found the Egyptian Exhibits there piqued my interest more than any other, somewhat to my surprise. To gaze upon pieces fashioned some 5000 years ago causes one to reflect on the importance of caring for our own unique objects of art in case they are still around 5000 years from now. I so appreciate your fine work in this preservation, and to see the Egyptian Exhibit is reason enough to visit Highclere again and again. I must give you and your staff a round of bravos for the excellent and interesting way you have presented these amazing antiquities, in actually a more authentic way than at the Met. This is a really good article to read. The pictures look good. I got to watch reruns of season 6 of Downton Abby last night and the featurette of you and your husband explaining the Highclere estate and the Carnarvon family history. What a shame parliament and the Queen don’t elevate both of you to Duke and Duchess of Carnarvon. Future episodes of Downton Abby should be set during the depression and end with the victory or WWII. The 5th Earl of Carnarvon’s story is fascinating because of his complete dedication to the Egyptian expedition despite the odds. It is a remarkable testament to the power of a dream. The exhibit must be quite a sight to behold in person. Those stunning and priceless antiquities have so many stories to tell – of ancient Egypt, its culture and its royal family. It is easy to see why Shirley MacLaine would be intrigued. What an astounding collection! Perhaps we would know more if the Library of Alexandria still existed. Thank you for curating and sharing this exhibit with the public. It’s such an incredible gift! Egyptian culture is one of my favorites. I have visited Egypt on two occasions and will return one more time. Thanks to Lord Carnarvon’s determination, we can contemplate the marvels of Tutankhamun’s tomb. It is good that you retain their legacy. Dear Lady Carnarvon, we were very pleasantly visiting the Highclere Castle in December 2016. My wife and I we’re watching the Downton Abbey series here in Brazil and we were fascinated by the beauty of this Castle. Even though we did not know how to speak English , on a trip around London we boarded at Paddington Station and got off at Newbury when a taxi drove us to this stunning Castle and upon seeing it we thought we were dreaming. It was very exciting. We were amazed by all the schedule of that day and by the magnificent Egyptian Collection that we were able to visit. We live in the city of Maringá in Brazil and always follow your Blog! It is truly a magical story. I have so enjoyed the exhibit, always discovering something new each time I visit. Thank you for all you have done to preserve this important history for future generations, and I look forward to visiting again. 50 years ago, I was sitting in my art history class, “Egyptian Art” at the university out in the cornfields of Illinois, USA. It was one of the graduate classes taught by a Greek professor and his wife who had left their homeland in 1967 and came as “guest professors” to teach Ancient Eastern Mediterranean Art History. I so clearly remember Professor Dimtiri’s wife Avra mesmerizing us with the tale of the discovery of King Tutankhamun’s tomb in the Valley of the Kings in Egypt. She had yellowed pages of a newspaper from November, 1922, and as we examined it, I remember seeing the 5th Earl of Carnarvon and his daughter Evelyn, and Howard Carter in a photo, at the tomb’s entrance. I wanted to be there, and there I went in 1970, and visited the small tomb across the Nile from Luxor, and saw the treasures then in the Cairo Museum. But I had seen the Egyptian treasures at the Met in New York, not knowing that Lady Almira had to sell so much of the Earl’s collection. I knew that there was an “Egyptian Museum” at Highclere when I visited England in 2010, long before I knew about “Downton Abbey”, but the tour bus was for London to Bath to Stonehenge to Salisbury and at that time “Downton Abbey” was not a stop, of course. Fortunately, I was able to visit and tour Highclere in April,2015, and finally had precious moments to see the wonderful exhibition you have in the “cellars”! And learned about the “hidden” Egyptian artifacts that were found tucked away in the upstairs “doorways”. What a home you have…full of history and ancient glorious spirits. Thank you for sharing this wonderful blog, Lady Carnarvon, and I hope many will come in November to see your “cellars”. It is a unique place and you have made the exhibit special for you and your family and all who come into your home. Thank you – I have tried to reach out, re-esetablish and reinforce links across a sea to the Met, people have been very kind to me. You are so beautiful inside and out – I appreciate all the hard work that comes with maintaining you and your husbands legacy. Without keepers of history – it will all be lost – Thanks again! I enjoyed your description in your book of the 5th Earl’s work and discoveries in Egypt. It’s a fascinating and tragic story. I smiled to myself reading about Shirley Maclaine. It’s great that she was able to be part of ‘Downton Abbey’/Highclere. Who knows how much truth there is to her beliefs, especially at this time of year! Shirley Maclaine made me smile! Joan Rivers has also visited me – I really liked her and she would come and have tea whenever she was here. However she was forthright on her opinions about Shirley Maclaine … not for these pages!!!! However, I must say that Shirley MacLean does have a certain aura about her. Many years ago my Chambers held a very special lunch in one of Sydney’s best restaurants. About 30 minutes after we were seated, a lady wrapped in a full length (mink?) coat, wearing dark glasses and a silk scarf covering her hair, was shown to a table with her 2 dining companions. They were seated near to our (long)table of 20 people (plus). Even before removing the scarf, sunglasses and coat, one could sense a special aura with this woman who had just graced our presence. Even more so after disrobing those three superfluous items of clothing, which we had initially thought were worn as protection from the outside cold weather, but in hindsight were more probably worn as a disguise from the prying lenses of the paparazzi. It was, of course, Shirley MacLaine. No fuss was made of Ms Maclaine’s presence and she did not appear to be expecting any. However, I do recall how stunning she was. No wonder the cameras and film love her. PS I visited the Met in 2009 and saw its Egyptian exhibition, including the Temple of Dendur. It wasn’t until years later that I learned of the museum’s acquisition of much of the 5th Earl of Carnarvon’s collection. We visited Highclere just two weeks ago on your Autumn Trail Day and my wish to photograph the castle in the sunshine was granted. The Egyptian Exhibition was a highlight for both my spouse and me, as he recently spent three months living and working in Cairo. We thoroughly enjoyed the stories, artifacts and watching the many children in attendance explore the hands-on parts. The excavation centre was a huge hit! Your passion, attention to detail and efforts to engage all visitors in the exhibits were clearly evident. What made the day out extra special for me were the many conversations we had with your dedicated staff members both in the exhibit and throughout the day. 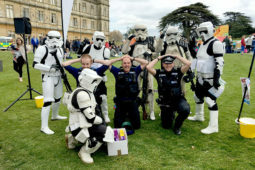 They are passionate about Highclere and the Egyptian Exhibition and went out of their way to chat with us and to point out special things about the grounds and displays. At 4:45 p.m. as we were leaving one of the ladies who had been parking cars all day, insisted on showing me the brick folly on the hillside that I had missed. It really was difficult to find in the autumn leaves and we spent a good 10 minutes re-walking the grounds until she was able to find it herself and ensure that we had seen it too! It was a wonderful day and well worth hiring a car, braving the British roadways (and ever present roundabouts) in order to maximize our time at the castle. Thank you for your dedication to preserving the past and supporting the future. We look forward to planning our next UK trip around one of your open days. I have been in love with Egypt since I was a little girl, and the Arab horses we bred were mostly Egyptian as well. My husband and I were thrilled to spend our honeymoon on the Nile–a bucket list item for both of us–shortly before the Arab Spring difficulties. I was always fascinated by the stories of Egyptian archeology and it’s so wonderful that Highclere has such a close association all of that. Hope to see your collection one day! Isn’t it wonderful to preserve family information and allow others to see and read history as it should be written and not just speculated upon. For the past several weeks I’ve been gathering information for my book on the Rothschilds family. I had no idea, that a link would lead me to a lady by the name of Almina Victoria Maria Alexandra Wombwell and her home Highclere Castle. I’ve found all that you’ve written extremly interesting on the two subjects. You’ve done an enormous amount of work on the family and for that I’m truly thankful. May I ask, could I possible use at least one of your Castles pictures for my book please? Or point me in the right direction on whom to put this question to! I generally write children’s books so to write a book on the Rothschild family, it is indeed, much different. Thank you for your time, it is very much appreciated! Thank you the best place is to email the castle office [email protected]; I enjoy the research and the writing … I am trying to write today rather than prevaricate and here I am delaying – but thank you!!! Visiting Highclere is a dream of mine but unfortunately the castle was not open during my three week stay in London this past winter. But I shall certainly be back! I am a senior history major in University and writing my thesis on Downton Abbey, trying to prove that it can be used as an accurate source of history for that time period and then drawing connection between the American’s appeal to British history in popular culture. I have read both your books before and I am now re-reading them as part of my research. You probably have a lot of first-hand sources in your personal library and I was curious if you could direct me more towards those memoirs of the Countess and Lord of Highclere at the time of the show (1912-1926). I would be an honor to be in contact with you further and hopefully one day get the chance to meet you! If you think you could be of any help, please let me know so I can give you my contact info. I have already been in contact with Alastair Bruce, the historical advisor for the show but I know the more contacts I can make, the more sources I can draw into my thesis. I think Downton is a great drama but I doubt it was ever intended as a historical documentary. I think Downton engages you with characters – that is its strength, but they are fictional! The booklist at then end of the books I wrote suggest historical documents and diaries.